Our Staffing clients in Jackson MI are looking to fill positions in factories, office, technical, and professional positions. Please check out the job board on the website for detailed information on current openings. Why Choose OnStaff USA in Jackson, MI as your Staffing Agency ? 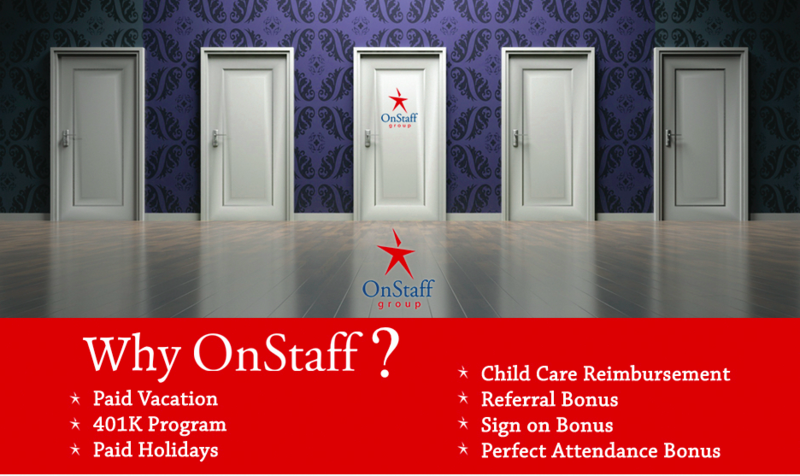 OnStaff USA offers complete benefits including: medical insurance, vacation pay, holiday pay, attendance bonus, referral bonus, and many other benefits. If you live in the Lansing, Marshall, Battle Creek or Ann Arbor area stop in and visit with one of our friendly recruiters or apply online. Get the job you deserve! If you are looking for job or a company who needs help staffing your positions give us a call at 517-513-3957 or fill out the contact form below.